Music is one of the reasons for waking up in the morning. It’s what separates us from the beasts. The best way to experience music is live and in person. By that we mean with a few hundred of your closest friends, not tens of thousands. That’s why we decided to create The Best 50 Small Music Venues In America. No offense to arenas and stadiums, but live music is much better when it’s intimate and accessible. At the following performance spots you’ll not only enjoy great music but you’ll be so close to the action that you’ll be able to read the brand name on the drummer’s sticks. The following 50 venues aren’t places to go if you just happen to be visiting that particular city. The following 50 venues are the reasons to visit a particular city in the first place. For music fans, the 40 Watt Club is both an exciting and historic venue. Over the years, the 40 Watt Club has hosted sets by Nirvana, R.E.M., Iggy Pop, Sonic Youth, and Kenny Chesney. The club started way back in 1979. It’s been at its present location since 1991. Barbès’ stage is located in its back room. Besides jazz, world, and classical music the site also hosts readings and film screenings. Another reason we love Barbès is its vast selection of single malt Scotch. They also have 12 beers on tap. Blue Rooster is the place to go for live music in Sarasota. Heck, they book so many great acts it would be the place to go for live music regardless of where it was located. Besides the tasty tracks there are tasty libations and tasty treats. Every Sunday from noon to 2:30pm Blue Roosters hosts a Gospel Brunch. Attendees partake in traditional and contemporary gospel music. If you’re in Los Angeles, and you want to experience some live jazz, all you have to do is visit the Blue Whale. You’ll find it downtown. The Blue Whale’s space is not only perfect for a jazz trio it’s also quintessentially L.A. Note: when going to the Blue Whale make sure you arrive early. The coolest thing about the Bluebird Theater (and there are a lot of cool things about this venue) is there’s a bar opposite the stage. This means you can buy refreshments without missing a single note. 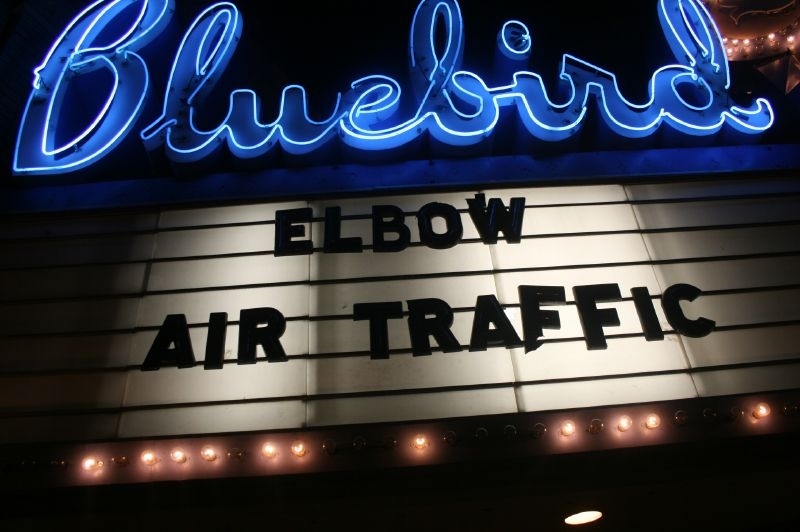 Make sure you get a selfie in front of the Bluebird’s famous neon sign. The Bowery Ballroom’s capacity is a cozy 500 (standing room only), but that hasn’t stopped it from becoming one of the most famous music venues in the world. The double-B has been featured in movies like Coyote Ugly and Nick and Norah's Infinite Playlist. Icons that have visited 6 Delaney Street include Coldplay, Wilco, and Metallica. Bright Box Theater placed its dance floor to the side of the stage. This is genius. It means that if you’re NOT dancing you’ll still be able to see the performers. This amazing venue hosts a variety of shows including live music, stand-up, burlesque revivals, cd release parties, and weddings. The acoustics and staff are top notch and despite being relatively new Bright Box Theater has oodles of character. The Bushwick Starr used to be a performance space where people actually lived. Nowadays, the beds are gone and it’s solely a place for actors, dancers, and puppeteers. The Starr ignited in 2007, and fortunately for organizers, Bushwick is what Soho was in the 1980s and what the East Village was in the 1990s. Here’s the bottom line, The Bushwick Starr serves it community by supporting and giving artists a venue to explore their crafts. Café du Nord maybe small—musicians need to go outside to change keys—but it’s still one of the best live venues in The City. Small or not, it’s still able to sport a 40-foot hand-carved mahogany bar. Remember, the performance space at Café du Nord is located in the basement. So when you enter the building go immediately downstairs. The restaurant is upstairs. The Cake Shop is positioned at 152 Ludlow Street on the Lower East Side. It opened in 2005 and by the standards of the neighborhood it’s an institution. Acts perform in the basement. Yes, if the place is jumping you might not be able to see the stage, but the atmosphere and acoustics more than make up for a blocked vista. The word most people use to describe The Cantab Lounge is “unpretentious.” It’s a pretty chill place. You probably won’t find nationally known artists on their marquee but that doesn’t mean you won’t find great music. On Tuesday, The Cantab is bluegrass central. Wednesdays it’s live 80s and 90s music. All day Thursday it’s classic soul and funk. Fridays and Saturdays the dance bands come out to play. There is no music on Sundays (beginning in March). Caroll Place is located on Bleecker Street in Greenwich Village in New York City. Upstairs in the 6,700-square-foot establishment you’ll find a cocktail lounge. Downstairs you’ll find live music. Managers of this Italian-American wine bar and gastropub invite a lot of hot new bands to perform on its snug rostrum. “…We shall fight in the pubs; we shall never surrender…” Or something like that. You know you’ve found the place when you arrive at a venue with a portrait of Winston Churchill over its entrance. Beside exciting live music, you can also grab a bite to eat, watch a sporting event, and/or do your laundry. 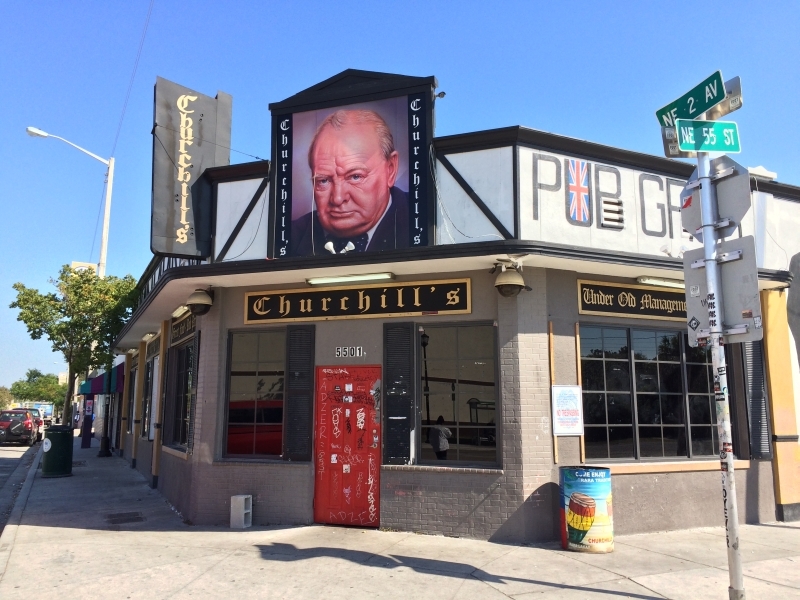 Bands that have played Churchill’s include Social Distortion, Agent Orange, and The Slackers. SINGER SONGWRITERS UNITE! Club Passim’s roots are firmly planted in the 1960s folk scene. 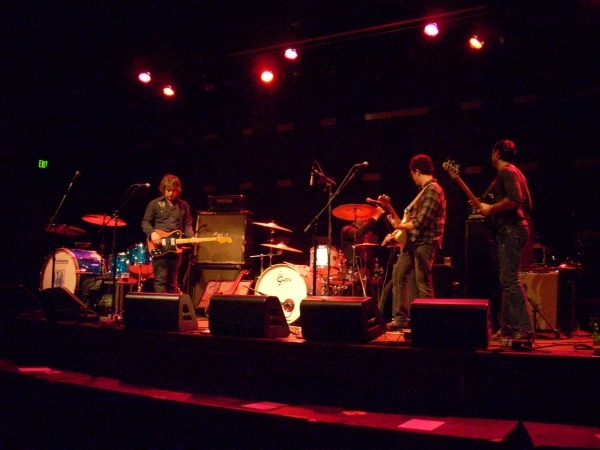 Nestled in the neighborhood of Belltown, The Crocodile is annually in the running for Seattle’s best live music venue. 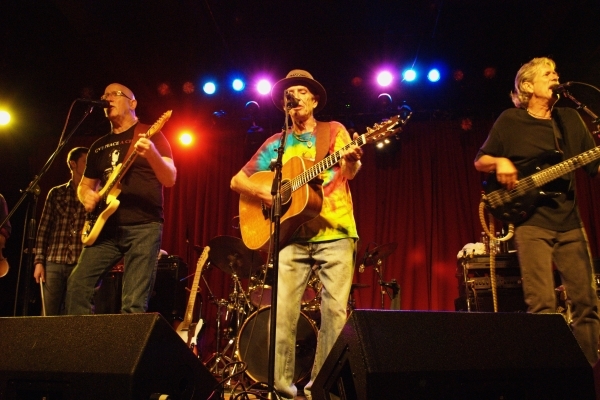 Managers reserve mushrooming musicians as well as veteran troubadours. They have a main stage and a “back bar” where you can see bands for five bucks. And yes, Nirvana, Pearl Jam, and Mudhoney all played The Crocodile. The Double Door is aces when it comes to sound. Every artist who plays there sounds spectacular and there are no “dead spots.” The position of the sound board is worrisome, but what are you going to do? The Double Door is easy to get to; it’s served by three bus routes and the Blue Line. The Double-D is part of the Wicker Park neighborhood. Our favorite part of the Doug Fir Lounge is the wood. The performance space is lined with logs. Being at the Doug Fir Lounge is like being in the Pacific Northwest which is appropriate since that’s where the lounge is. While the building has the swagger of a cabin its sound system is totally urban. First Avenue has welcomed a plethora of well-known musicians to its stage: Prince, U2, Lenny Kravitz, Red Hot Chili Peppers, and Duran Duran. Don’t let those legends intimidate you. First Avenue is all about the music and they prove it by booking promising bands and hiring committed staffers. Basically, First Avenue is the heart of the Twin Cities’ music scene. The Great American Music Hall is highlighted by suave ceiling frescoes, intricate balconies, and towering columns of marble. The 5,000-square-foot concert hall opened in 1907, but it still has the cutting edge technology you’d expect from a 21st concert venue. The place is dripping in history. If its walls could talk they’d tell tales of Duke Ellington, Count Basie, the Grateful Dead, and Arcade Fire. Great Scott only accepts cash. This may inconvenient some but in return Great Scott is quite affordable (especially for a music venue in The Hub). While Great Scott schedules a diverse menagerie of bands, their booking agents are partial to indie and underground groups… and DJs. Great Scott can hold about 240 music lovers. The Hideout is situated in a building that’s more than a century old. The balloon-frame house was constructed in two days for Chicago’s criminal element. 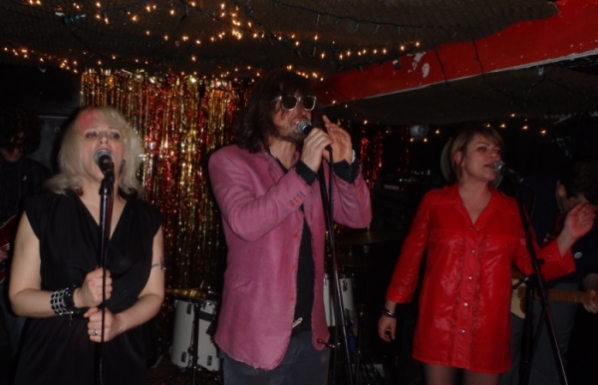 At The Hideout, you can not only experience stellar live music but CD listening parties, plays, and an annual block party. The New Pornographers once played there using borrowed instruments. Vampire Weekend, Bon Iver, The National, LCD Soundsystem, and M.I.A. have all performed at The Independent. This 500-seat concert venue is renowned for its sightlines, acoustics, and having a dance floor that’s more inviting than its V.I.P. area. This may also be the most intimate venue on our list. So here’s the deal: there are two Infinity Halls in Connecticut, one in Norfolk and one in Hartford. They are both operated by the same company. The Norfolk edition is located in a building that dates all the way back to 1883. The main difference between the two is the Infinity Hall in Hartford is in the city while the Infinity Hall in Norfolk is in the woods. Knuckleheads Saloon markets itself as the place “where the world’s greatest musicians play.” No pressure there. The saloon has three stages. One is outside and incorporates a caboose; the second is indoors and is fairly typical; the third is a quaint 55-seat lounge. That lounge is where the saloon hosts their weekly gospel night. 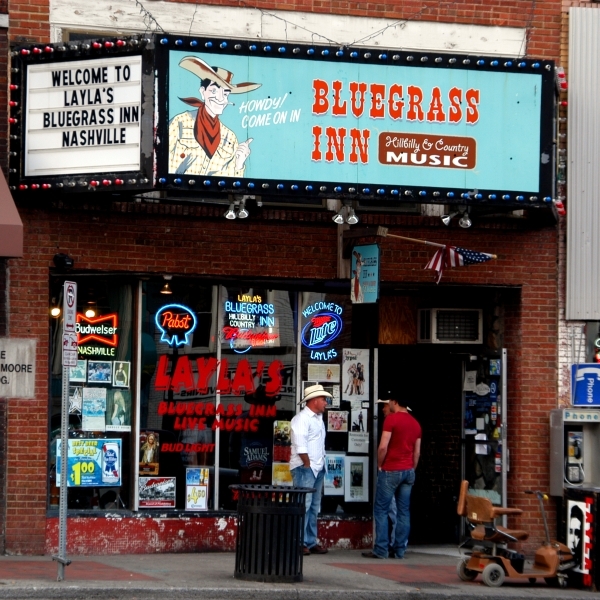 The center of the “Honky Tonks of Broadway” is Layla’s Bluegrass Inn. This is where you’ll hear genuine country music and enjoy the myriad of license plates on the ceiling. Leland City Club is “Detroit’s most famous industrial nightclub”—emphasis on the “night” part as they are open until 4:30am. Come to the club to dance or to people watch or to do both. Leland opened in 1983 only back then it was called "Lidernacht" (German for "Night Song"). As you might imagine it has transitioned through numerous genres. 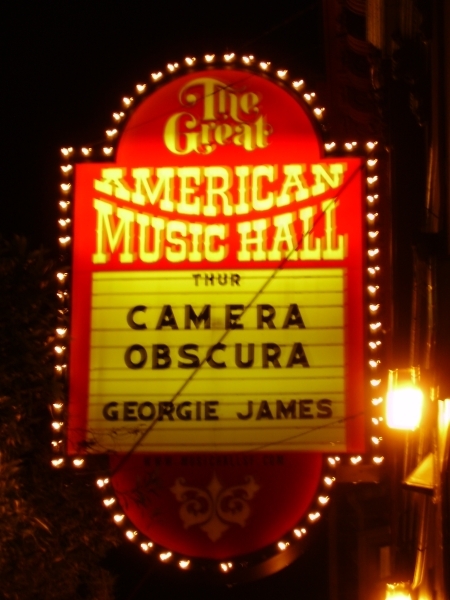 There are newer small concert venues in Chicago but none that are better. Lincoln Hall entices visitors with its white bricks and then dazzles them with its horseshoe-shaped balcony and its awesome sound system. Lincoln’s restaurant opens two hours show time. Lupo’s Heartbreak Hotel is a beautiful two-tiered concert venue with four bars. Here’s why you need to know about Lupo’s: a lot of acts that play Boston, which is just an hour away, also play this Providence establishment. So? Well, your pocket book will take far less of a hit at Lupo’s then it will in Beantown. The Masquerade presents concert-goers with three stages named Heaven, Hell, and Purgatory. They also have an amphitheater out back. Their drinks won’t deplete your wallet and the building’s sonic capabilities are impressive. A map tells you that The Masquerade is in Atlanta’s Old Fourth Ward. 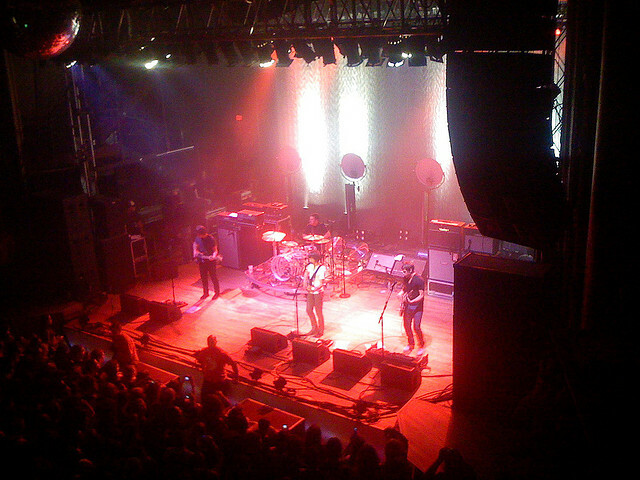 Mercy Lounge opened in January of 2003 on Nashville’s Cannery Row. When we talk about the Mercy Lounge we’re really talking about three performances spaces. Besides the 500-capacity lounge on the second floor, there’s the 1k Cannery Ballroom on the ground level. Lastly, there’s the adjacent High Watt space—think a spot for new bands. The complex has hosted performances by Adele, Katy Perry, and Keith Urban. Two blocks from historic Wrigley Field, resides one of the most interesting selections on our list. Metro and Smartbar are two different live music venues that sit on top of one another. Metro books live bands while Smartbar welcomes DJs. Usually, a ticket to Metro will also get you into Smartbar. Located on 10th and Red River, Mohawk hosts a variety of live acts and they do so seven days a week. You’ll enjoy both established and burgeoning acts on their stage. We’re not the only ones who love this place. 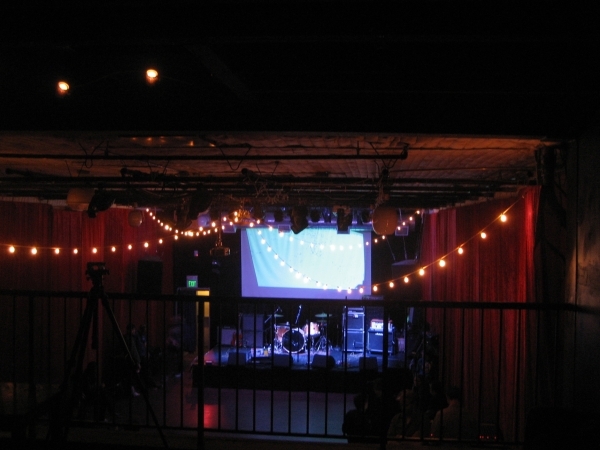 Mohawk captured the Austin Chronicle’s Best Live Music Venue from 2010 through 2012. Music City Bar bills itself as the “Best Country Music Bar In Nashville.” That’s a huge honor that’s more truth than hyperbole. MCB has live music seven nights a week, serves great food until 2:30am, and has no cover charge. You can smoke inside and they have an outdoor covered patio for you and your dog. There are families in Houston where grandparents, parents, and offspring all saw their first concert at Numbers (not at the same time of course). Come Friday night for “Classic Numbers” (music, videos, the 1980s, and a DJ). It’s Houston’s longest running weekly event. One more thing you need to know: Numbers is home to a huge dance floor. Owned by the Wiken family since 1974, The Packing House offers live music Wednesday through Saturday—mostly jazz. Their stellar restaurant is known for their fish fry. It’s considered the best in Milwaukee. Every Wednesday night The Prophet Bar hosts a jam session that has been known to attract a famous musician or two. The Prophet Bar occupies space in Dallas’ Deep Ellum Historic District. The venue delivers a full service bar and grill. It’s also all ages, all the time. Come to the Rickshaw Stop to see acts like Mayer Hawthorne, School of Seven Bells, Dengue Fever, and Aloe Blacc but stay for the foosball and Skee-Ball tables. Completing the “your uncle’s rec room” aesthetic, are red curtains, high ceilings, and funky chairs. The space was once a television studio. And yes, there are rickshaws. Robert’s Western World is appropriately situated in the shadow of the Ryman Auditorium, home of the Grand Ole Opry. It’s appropriate since Robert’s Western World is tagged as “home of traditional country music.” Jesse Lee Jones is the proprietor and leader of his establishment’s house band, Brazilbilly. When you go there check out their shelves full of boots. You’ll find just three things at the Rhythm Room: a stage, a bar, and a dance floor. That will tell you the venue’s commitment to live tunes (that are generally of the roots, blues, and jazz variety). It’s a bit of a dive (in a good way) but the music is so good, and the cans of PBR so cold, you won’t care. The Satellite, the anchor of the Silver Lake neighborhood, is a hip concert venue where the hip gather to do hip things like drink and listen to hip bands. 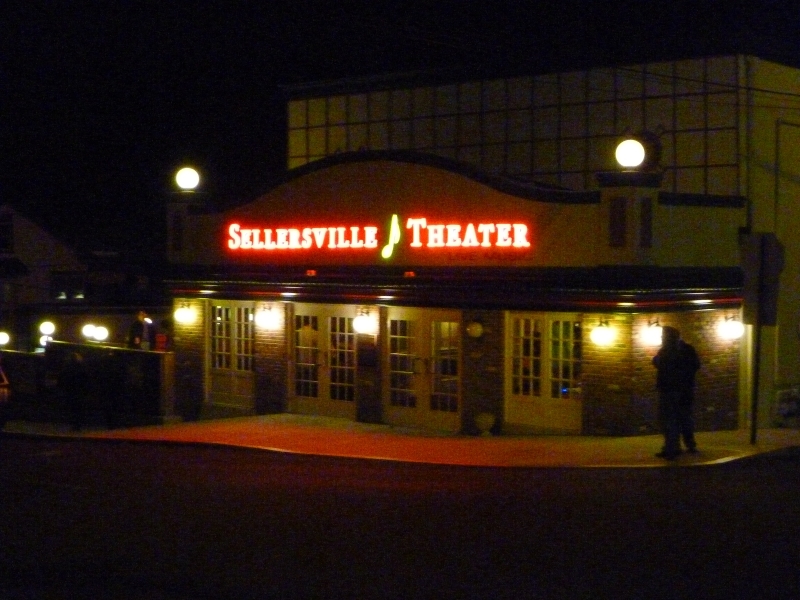 Sellersville Theater is oriented about an hour north of Philadelphia. The elegant theater is long, narrow, and looks like a place that should be used by guys in powdered wigs. Between the first row of seats and the stage is an area of table seating or standing room. Next door is the theater’s sister establishment, The Washington House Restaurant. The Skyroom is the most romantic venue on our list. The venue is located in the historic Breakers Hotel. The restaurant component of the Skyroom is one of, if not the best restaurant in the city. The Skyroom’s stage and surrounding area employs a sophisticated art deco scheme. Managers ink a lot of swing acts, but they tap jazz, rock, and salsa musicians too. When coming to the Skyroom make sure you’re dressed up and make sure you’re prepare to dance. Slim’s was opened by a Scaggs (Boz Scaggs) in 1988. The nightclub sits in the South of Market district and provides patrons with scrumptious victuals, invigorating liquids, and tantalizing music. Slims greets artists from every genre imaginable. The joint is well put together. The dance floor is surrounded by an “L” shape bar and table seating for 30. The Smell is a D.I.Y. concert venue. Since its founding in 1998, the venue has been operated by volunteers. First, the bad news: they don’t sell alcohol and its name is NOT ironic. Now, the good news: this is the best place in Los Angeles to experience underground music. “Experience” is definitely the right word. Attending any event at The Smell is an experience. 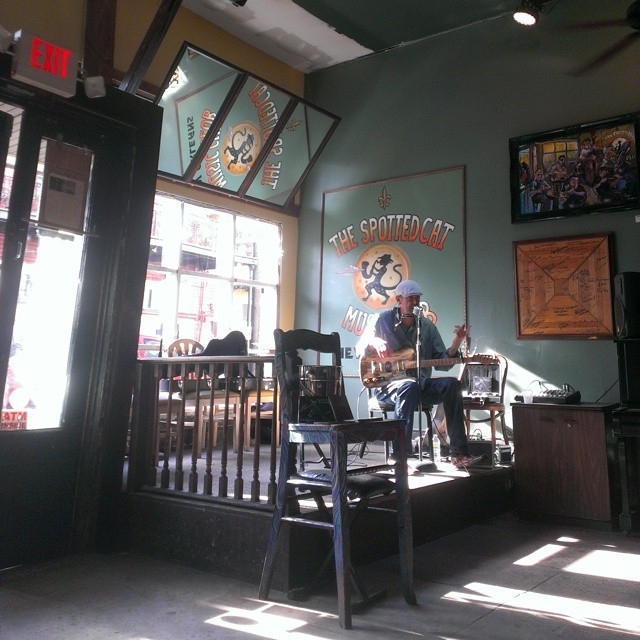 The Spotted Cat Music Club gives attendees an authentic taste of New Orleans. The venue is located on Frenchmen Street in the Fauborg Marigny District. The stage is as tiny as a postage stamp and for some reason there’s a piano in the women’s bathroom. Still, The Spotted Cat Music Club attracts jazz virtuosos and is easy on jazz fans’ budget (one drink minimum). By the way, they don’t serve food. The Stage is erected in Miami’s Design District. It’s a destination if you have a hankering for live music and a penchant to dance the night away. The venue’s cushioned chairs provide a place to rest after you’ve cut a rug. The Stage’s high ceilings, artwork, and three full bars are reasons to hang out if you’re done hoofing or not hoofing at all. Ironically, The Stage’s stage is a little on the small side. Tiptina’s is dedicated to legendary pianist and composer Henry Roeland Byrd, also known as Professor Longhair. The name of the venue is taken from one of his songs. The establishment opened in 1977 (it briefly closed in 1984). Professor Longhair played there (providing him with a place to jam was the reason the venue was created) until his death in 1980. In both 1989 and 1990, the Rolling Stones played for 700 people at Toad’s Place. You want more history? Bob Dylan launched one of his tours there. Nowadays, Toad’s Place hosts gigs by artists like Wiz Kahlifa, Jadakiss, LMFAO, and Hatebreed. Need a place to host your next party? Check out their rainforest room. The U Street Music Hall is owned and operated by DJs. That explains why its sound system is so good you can hear music clear as a bell while standing outside. Surrounding the dance floor are two bars, a stage, and the DJ booth. The aforementioned dance floor takes up 1,200 square feet and is cushioned with cork. World Café Live contains a pair of handsome looking performance spaces. Upstairs is where the major acts of tomorrow play. Downstairs is a larger performance venue where the major acts of today set up shop. Remember, the restaurant is upstairs. So when you’re attending a show on story number two you can always buy sustenance. The downstairs section can be configured in many ways but if there are tables then nourishment is an option. Both sections have amazing sound systems and great sight lines.